I hope that you are both keeping well. Just a short email to let you know that we arrived home safely last night after our fantastic trip where we had few days of unbelievable fishing at Whitianga. 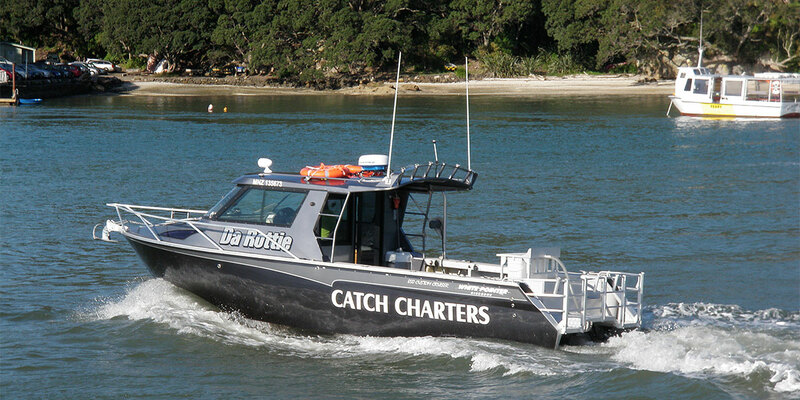 We all came away with some great memories as all of us had the opportunity to experience some of the best fishing that Whitianga has to offer. So, on behalf of my group that came over for this trip, I would like to thank you both for once again providing your wonderful hospitality and the very friendly atmosphere that has become an important part of Catch Charters. This alone is what keeps us coming back every year and I would like to congratulate you both for providing the best fishing charter experience ever. You two always make us feel welcome and we always have a great time on your boat. And then there was the outstanding Snapper fishing, especially on the first day, when you put us on to plenty of decent sized fish ranging from 2kg and up to my p.b. Snapper for this trip that topped out the scales at 6.6kg. This was the highlight of the day for me but the rest of group were also happy as we landed quite a few fish of around the 4kg mark. 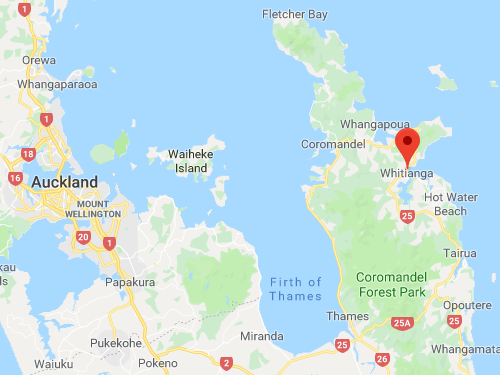 Well, that is about it from me for now but I would like to finish by wishing you both all the very best for the future and I hope that we get the chance to catch up sometime, either here in Sydney or, better still, in beautiful Whitianga. Until then, please take care and hope to talk to you soon. The hubby and five teenage boys had a great winter's day out fishing with Catch Charters. We had fish for dinner that night and more to put in the freezer. Thanks for a wonderful experience. Everyone loved it. Will definitely be booking more trips with you in the summer when we have more guests visiting - and next time I'm coming too! Much appreciated by all. Cheers, Rena, Bill and the crew of boys. 5 Star. Brilliant day out fishing! 5 Star. Brilliant day out fishing! Garry and Leigh were the perfect hosts, ensuring everyone on board were fully equipped and enjoyed themselves. We'll definitely be back! Just a few words to let you know that we arrived home safely late last night and managed to get our substantial amount of smoked kingy and fresh snapper packages through Customs without any dramas. On behalf of the other seven guys in my group, I would like to once again thank you and Lee for your fantastic hospitality and first class customer service that you provide for us whenever we have the chance to go fishing with Catch Charters. Although the fish were a bit tough to find the first day, you were right on the money with your spot selection for the second day as it turned out to be one of the best snapper fishing sessions ever!! It is one of those magic moments in fishing that none of us will ever forget and to experience a hot bite, from top quality snapper, was classic and we hope that we can do that again the next time we come over to Whitianga. I would highly recommend to anyone one wanting to experience Whitianga Snapper and Kingy fishing at its best to book a day or two out with your excellent charter. In the mean time, I hope that all goes well with the purchase of your new larger boat this year and I look forward to hopefully coming back next year to spend another couple of days on the water with Catch Charters. Take care. Best Regards, Joe, Luke, Sam, Amante, Dave, Mick, Paul and Anthony. Last Sunday 10 of us chartered Garry's boat for a days diving at the Alderman Islands - all that went were in total agreement - Absolutely fantastic!!! Garry and his wife, Lee, were the perfect hosts, helpful, knowledgeable, friendly, good humoured and chilled - very safe and professional. The boat was fast and easy to dive off and to get back on to post dive. With 10 of us on board plus Garry, Lee, 30 bottles of air and all the other dive gear made for a busy boat but nonetheless it remained comfortable. Garry! The bacon and egg pie and hot drinks available during the surface intervals was the icing on the cake and cements you as our future 1st choice for the next trip out (which will not be too far in the distant future)! GREAT DAY! THANKS! Awesome boat awesome skipper chilled out and makes you enjoy your day cheers Garry. We hope that you are both keeping well. Just thought to let you know that we arrived home safely last night and with a bit of luck, we managed to get our 96 kg of tasty Whitianga smoked fish through customs without any dramas. Sadly to say, that is the end of our 2014 NZ fishing trip and its now back to the daily grind, but at least we get a bit of a reprieve with the Easter break. On a happier note, on behalf of my group of keen Aussie fishos, I would like to thank you and Lee for the great couple of days of top fishing that we enjoyed on your boat. We all had a very relaxing time and your hospitality was first class. We hope to be back next year around the same time and if we do, we will definitely be booking a few days with Catch Charters. Hope you both have a great Easter and we look forward to fishing with you both again not too far down the track. Take care and Best Regards. Joe, Luke, Sam, Dave, Mick, Blake, Glen and Adam. Just on behalf of the guys I would like to thank you and Lee’s service on Saturday. Although the fishing was not great the service and the effort you put into trying to get us on the fish was top notch. We will definitely be back in the winter for another crack at the kingi’s. Thanks again Garry, will recommend you to anyone who asks. Spacious boat. Great service. Very experienced deckhand. The crew went above expectations to ensure fish were caught.